I have a painting to do tonight and tomorrow so I should get to my art journal pages after that. Wish me luck. 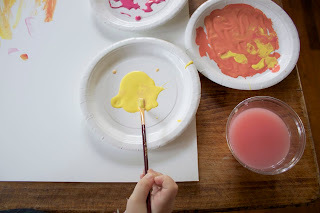 In the mean time, here's a little artsy idea that I thought I'd pass along from Dandee for a children's watercolor party. It could easily tweaked and translate to adult's party.